Yorktown University regrets the passing of Lovett C. Peters who died on November 11 at age 97. I first met Pete in 1998 when he and his wife were attending a meeting celebrating the 50th anniversary of the Mt. Pelerin Society. The Society was founded by Ludwig von Mises and Frederick Hayek after World War II when Western Europe lay in ruble and the American military authorities were controlling the economy of defeated Germany and Austria. Fortunately, free market principles were allowed to take effect and “the German miracle” followed. Designed by Economics Minister Ludwig Erhard, free market policies allowed Germany to rise from the ashes to become an economic giant and good European partner. Pete Peters was 37 years of age in 1950 and learned an important lesson about economic freedom that he applied to his career in finance and to his philanthropic work. His founding of the Pioneer Institute in the heart of “Taxachusetts” was an important event in itself, and over the years the Institute has contributed to public debate about education, taxation and civic responsibility that would not have been heard has it not been for Pete. Pete was especially interested in education at all levels and contributed to successful challenges to laws that blocked the creation of Charter Schools and use of education “vouchers” for public school students who wanted to go to private schools. And he was intrigued by Yorktown University since it shared his political and economic values and aggressively challenged a hide-bound system that blocked entry into the higher education marketplace. On travel to Boston four years ago Pete asked to meet with me. In his office at the Pioneer Institute this nonagenarian grilled me about what we were doing, why, and the audacity of forming Yorktown University as a for-profit company. Thus was formed a link between Pete’s Pioneer Institute and Yorktown University. Pete Peters will be sorely missed and we ask that the Yorktown University family say a special prayer of thanks on this Thanksgiving Day for the privilege of having known him. Lovett C. Peters of Chestnut Hill and recently Westwood, died on Veterans’ Day, November 11, at age 97. He was born in Amherst, Mass. April 29, 1913. After graduating Phi Beta Kappa from Yale in 1936, Peters embarked on a long and successful career as a financier and philanthropist, beginning in 1936 at Bankers Trust in New York City. During World War II he was assigned to the Army Air Corps to finance production of the US aviation industry, including such legends as the DC-3, B-24 and B-17. 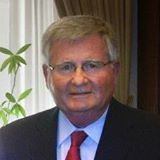 Following the war, he held positions of increasing responsibility at Laclede Gas in St. Louis and Continental Oil (now ConocoPhillips) in Houston, where he rose to executive vice president. In 1966, he moved back to his native Massachusetts, first as president of the Cabot Corporation and later as principal of Peters Associates. His expertise in the energy business included gas, oil and coal. Upon turning 75, Peters transitioned from the world of business to the world of ideas. In 1988 he founded the Pioneer Institute, a think tank focused on free market solutions to Massachusetts public policy issues. Always a talent spotter, Peters’ first hire was a young man named Charlie Baker. Pioneer’s primary focus was on improving educational opportunities for all of the Commonwealth’s children. The beneficiary of scholarships to Phillips Academy (Andover) and Yale, Peters fervently believed all children deserve to have the same superb teachers and joy of learning he had experienced. All of his family – and his wife’s – had been teachers. As chairman of Pioneer Institute, he played a key role in the development of charter schools in the Commonwealth. Building on the bi-partisan reforms enacted under Gov. Weld in 1993, Massachusetts achieved dramatic academic gains. By the turn of the century, Massachusetts was achieving test scores among the highest in the world. A man of ideas, Peters in 2000 founded the Save a School Foundation, offering $1 million to school districts willing to convert their worst-performing schools into high performing charter schools. Peters served on a number of for-profit and non-profit boards, including the Boston Safe Deposit and Trust, The Foundation for Economic Education, Hillsdale College and Abbott Academy. Peters was pre-deceased by his beloved wife Ruth Stott Peters, with whom he celebrated their 70th anniversary in 2008, and a son, Charles Adams Peters II, whose wife Gayle has since remarried to Ned Coates. He is survived by three children: Ruth Binkerd Peters Stephenson of Houston, Texas and her husband John; Daniel Stott Peters of Cincinnati, Ohio and his wife Kellie; and Samuel Kittredge Peters of Needham. He is also survived by a sister, Maude Peters Kozlowski of California, seven grandchildren (Blake, Ruthie, Kittredge, Drew, Julia, Abby and Wes) and one great grandchild (Wells). Peters died believing he had won the greatest lottery of all time – he was born an American. He loved this country and felt blessed beyond measure by the opportunities he was given. A memorial service will be held at 11:00 a.m. on Saturday, December 11th at the Church of the Redeemer in Chestnut Hill. In lieu of flowers, the family requests donations be made to Pioneer Institute, 85 Devonshire Street, Boston, MA 02109.